Season five returns with the arrival of a legendary Viking, the famous Duke Rollo (Clive Standen), who causes further upheaval in a Kattegat still reeling from Ivar the Boneless becoming its King. As Bjorn (Alexander Ludwig) and Lagertha flee Ivar's murderous forces with Bishop Heahmund (Jonathan Rhys Meyers), Ivar's tyrannical reign over Scandinavia ushers in a new Dark Age, the likes of which have never been seen. 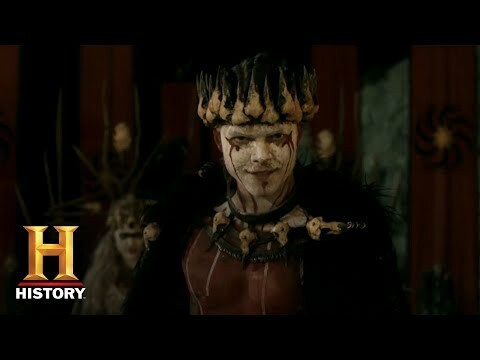 Ultimately, Ivar's reign will not go unchallenged by the sons of Ragnar and old enemies will become allies to defeat the despot who has declared himself a God on earth. Meanwhile in Iceland, Floki (Gustaf Skarsgård) battles the elements, and his own settlers' desire for revenge, to forge a Viking colony on the beautiful and desolate landscape. Vikings Season 5 (Part 2) was released on 143d ago in the UK. Notify me when Vikings Season 5 (Part 2) is available.